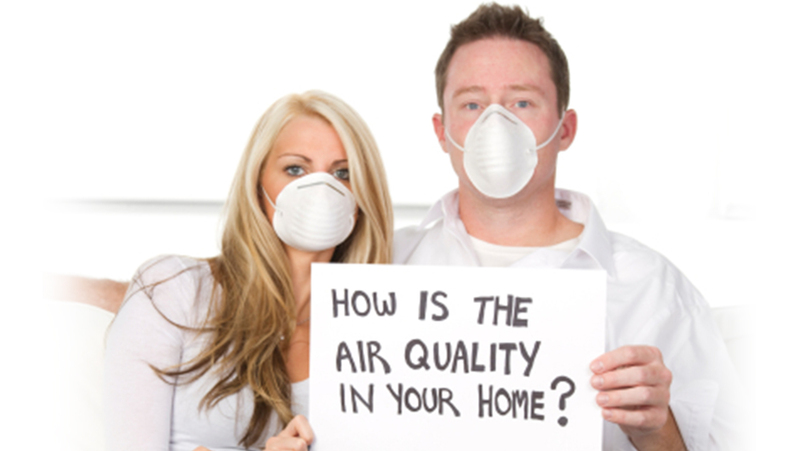 Many health issues can be linked to indoor air quality. Some physical symptoms may include headaches, shortness of breath, fatigue, sinus congestion, dizziness, sneezing, coughing and cold-like symptoms. Many of these symptoms are related to the presence of allergens and toxins in the air, such as radon, mold spores and pest feces. People who have pre-existing respiratory issues as well as allergies may experience a worsening of their symptoms when exposed to these conditions. Poor air quality may also result in the development of neurological disorders. This is an obvious sign of poor air quality. Dust may include dry soil and other allergens, such as pet dander, pest feces and pollen. This may cause irritation to the respiratory system. Many people rely on air conditioning systems to filter out allergens and dust particles. The problem with this is that filters aren’t effective when it comes to microscopic particles. Filters also need to be replaced often to prevent their clogging. The EZ breathe system effectively gets rid of allergens and other dust particles in the home by expelling the air to the outside. Fresh air is then pumped into the home. You also don’t have to worry about clogged filters that need replacement as the system doesn’t use filters. A constant unpleasant smell in the house is often a sign of air pollution. The smell may be the result of the release of a chemical into the air or the growth of mold. This type of air pollution can only be effectively dealt with by expelling the air in your home to the outside. The EZ breathe system makes this possible. Have you noticed a musty smell or dark stains in your home? The growth of mold in the home is a sure sign that the air is compromised. Mold release spores into the air. These spores produce mycotoxins that can be hazardous to health. Extreme levels of humidity are also an indication of air quality issues. It is important to maintain indoor humidity levels at between 30 and 50%. High humidity levels can result in health problems and discomfort. The EZ breathe system offers an easy and effective approach to improving indoor air quality. Talk to your local contractor to find out more about having the system installed.